A good thing you can do when you book a cruise is to book a guaranteed stateroom to get the absolute lowest price on whichever cabin type you’re interested in (inside, outside, balcony, or a suite). 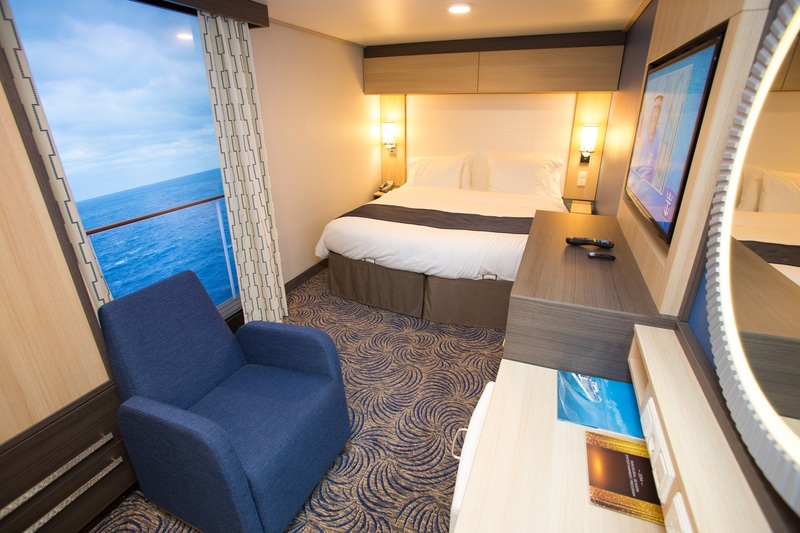 With a “guaranteed” cabin, you are guaranteed a room within that particular type of stateroom or higher. This can sometimes be a gamble because you don’t get to choose the cabin’s location but it usually pays off. There’s a small chance you could end up in an undesirable location like the ship’s bow, under a nightclub, or the galley but usually that does not happen. For example, you could book a guaranteed inside cabin and end up with a beautiful balcony stateroom. With a guaranteed stateroom, you’ll always have the absolute lowest price atleast and you’ll have a better chance to be placed on an awesome part of the ship and even a chance to get a free upgrade so we think it’s worth the gamble or booking a guaranteed stateroom.